Canada's final anti-spam legislation (CASL) deadline comes into effect on July 1, 2017, and we need your consent to continue sending you the latest information. By confirming your subscription you're granting us permission to email you. You can revoke permission to mail to your email address at any time using the SafeUnsubscribe link found at the bottom of every email. Comox Valley population grew to 66,527 in 2016, a 4.7% increase since 2011. This is in line with the Provincial and National growth rates over the same period. 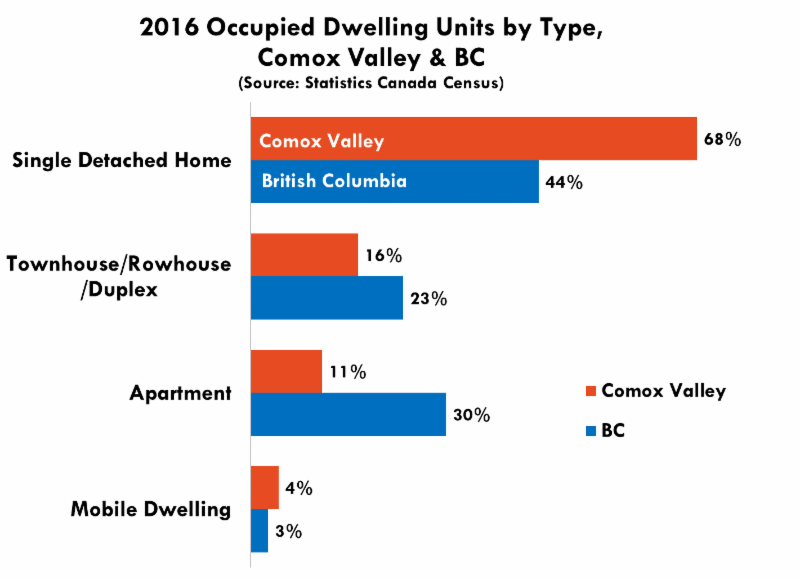 Two-thirds of occupied Comox Valley homes are single-family dwellings, compared to only 44% in BC. Apartments now make up 30% of the provincial housing stock, but only 11% in the Comox Valley. Over 35 accredited international and domestic media took part in the Media Hosting Program during the BC Shellfish & Seafood Festival earlier in June. Click here to view the growing media coverage on the Comox Valley, its businesses & attractions. Chartered Professional Accountants of BC released their Regional Check-Up which provides an analysis of BC's eight development regions as a place to work, invest, and live, including our Vancouver Island/Coast region. Tradeshows are crucial to expanding your sales outside B.C.’s borders. But the culture, etiquette and expectations of doing business in each country are different. So how do you prepare? Join Small Business BC for this free interactive seminar and learn the dos and don’ts of international business, how to get the most of out of your trip, and learn about the cultural elements that impact business decision-making.